…and reminded people to shut down their desktop electronics every evening. Thanks again to all of our volunteers, and let us know if you have an idea for next year! 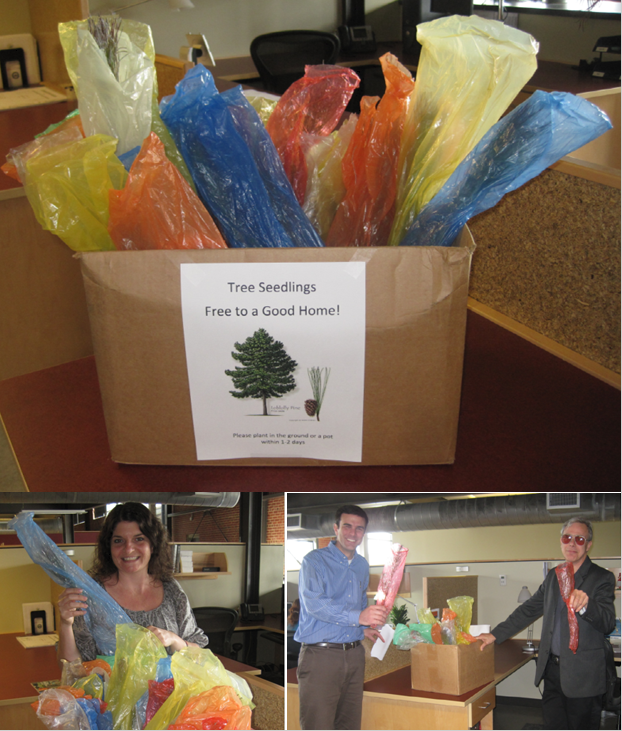 Earth Day Events – Coming to a Town Near You! 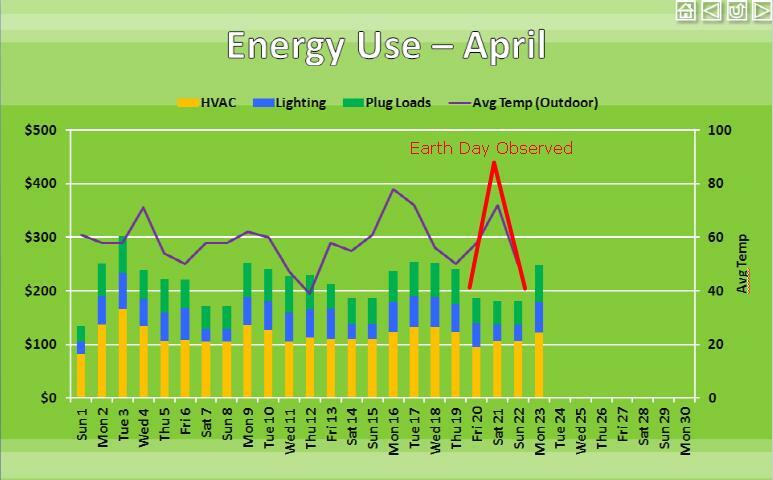 Harrisonburg Earth Day Calendar – http://hburgearthday.weebly.com/. Lots of events, workshops, and activities on and around Earth Day. Earth Day on the Greenway, April 21, Luray, VA – http://www.earthdayonthegreenway.com/. Includes a 5K race and a kids 1K run. EcoFair, April 22, Main Street Arena, Charlottesville, VA – http://www.earthweek.org/. Workshops, live music, book swap, local brews, speakers, kid-friendly entertainment, and more! Earth Day on the National Mall, April 22 – http://www.earthday.org/mall. Includes a massive rally where they plan to have top musicians, civic leaders, and celebrity speakers. The EPA will host family friendly hands-on activities in their National Sustainable Design Expo where EPA businesses, non-profits and college students from across the country will showcase their efforts to protect the planet. Earth Day at the National Zoo, April 22 – http://nationalzoo.si.edu/ActivitiesAndEvents/Celebrations/EarthDay/default.cfm. Join Zoo staff and other visitors in keeping our ecosystem healthy and picking up litter and sorting into recyclables and trash. You’ll have a chance to talk with the Zoo’s Green Team and representatives from other organizations. Children can participate in fun and educational activities. Earth Day in Alexandria, Virginia, Brenman Park, April 21 – http://alexearthday.org/. Focus on efficient and eco-friendly transportation options such as walking, bicycling, ridesharing, and riding public transit. Activities will include recycling and composting demonstrations, live music, an Arbor Day tree planting, a performance by Blue Sky Puppets, and a launch of the Eco-City Action Plan Phase II. 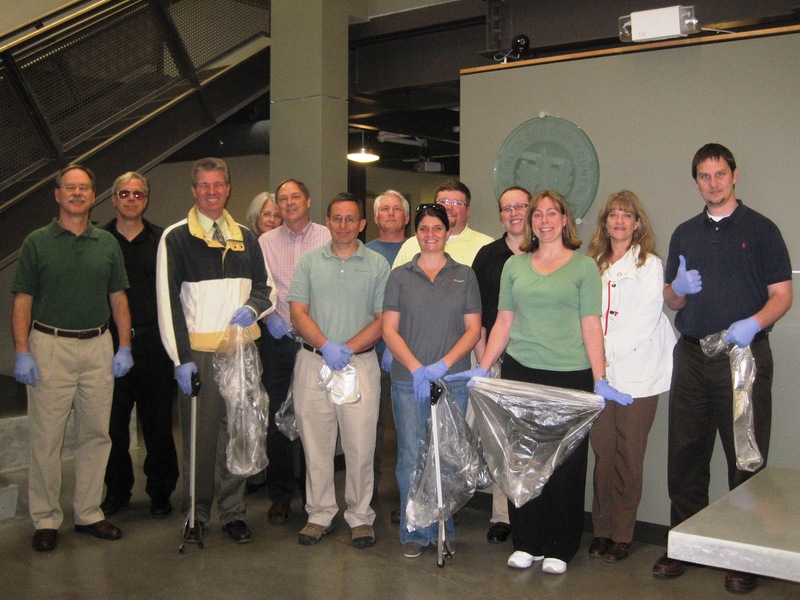 Earth Day Workshops and E-Cycling Drive, April 22 at the Warrenton Community Center – http://www.fauquiercounty.gov/documents/departments/parksrec/pdf/goodtimes.pdf. See list of Earth Day activities on page 8. Earth Day Wine Festival, Gadino Cellars, April 21 – http://www.gadinocellars.com/events.html . Located just south of Front Royal. Stroll through the vineyards, listen to live music, and partake of the fruits of the vine! 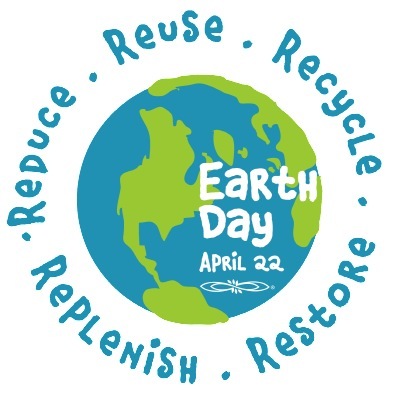 Prince William County, Earth Day in Old Town Manassas, April 21 – http://pwcgmcc.mymediaroom.com/wire/news/viewrelease.aspx?id=6674. The day includes exhibitors from non-profit and civic organizations providing recycling and environmental information. The City of Manassas will be coordinating a Shred It truck for people to securely dispose of personal documents for free. The Manassas Art Guild will be featuring its spring eARTh exhibit, and sponsoring artist demonstrations and kid’s activities throughout the day. Loudoun County Earth Day Family Festival, Willow Creek Farm, April 22 – http://www.virginia.org/Listings/EventsAndExhibits/2012EarthDayLoudounFamilyFestival/. The Earth Day Family Festival will feature Live music, Live wildlife exhibits, Petting Zoo, MarketPlace with local artisans arts and crafts, Local Beer and Wine Garden. Valley Earthfest 2012, Berryville, VA, April 22 – http://valley-earthfest.weebly.com/. Held inside the beautifully restored barns at Barns of Rose Hill. ECO-mall featuring many future friendly wares, Grass Roots Green workshops & presentations, Green Film Fest, boutique beer and wine garden, children’s activities, and a full-on BARN DANCE! Richmond Earth Day Festival, April 21, Downtown Manchester – http://www.styleweekly.com/richmond/EarthDay2012/Page. Includes a 5K “Race Without a Trace” run, and has something for everyone: local produce from farmers markets, kids art and activities centered around Richmond’s unique eco-system and river wildlife, local food, live music, and your favorite golden beverages and crushed grapes. There’s also a flood wall climb with zip line, and an outdoor gear swap. Earth Day 2012 at Mount Trashmore, April 22 – http://www.vbgov.com/government/departments/parks-recreation/special-events/Pages/earth-day.aspx. Refresh your approach to making our world a healthier place with various exhibits, displays and activities that will give you a chance to discover and explore effective and convenient ways to green your lifestyle. Includes an e-cycling drive and a dumpster dive demonstration. The dumpster dive at last year’s event revealed that nearly 50% of one dumpster’s contents could have been recycled! Planet Earth Celebration, April 20-21, Downtown Raleigh – http://www.planetearthcelebration.com/. The 2012 Planet Earth Celebration will be part of the NC Museum of Natural Sciences’ 24 hour opening celebration of the Nature Research Center – the new wing of the Museum.